Series brought to you by the Clarksville Economic Development Association. Come join us for the biggest block party in town!! Come join us for the biggest block party in town!! 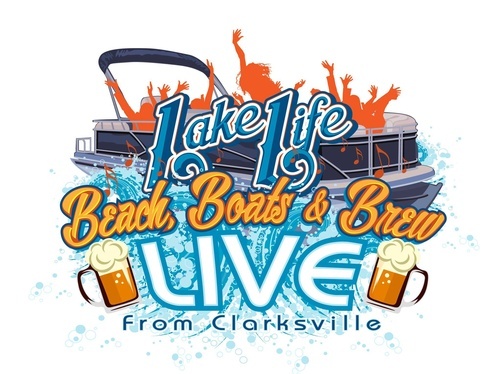 Saturday, May 4th for the 1st Lake Life Live Summer Series event of 2019!! We are so excited to have three incredible local bands perform for our FIRST installment of the Lake Life Life Summer Series for 2019!!! Gates open at 3:00 and the music starts at 3:00 with The Tobacco Road Band. The Feature Attraction Band hits the stage at 4:30. The Konnection comes on at 7:30. Bring your shaggin' shoes, beach chair and/or towel, and some cash. Admission is $5.00 at the gate. We are a family-friendly event, all ages welcome! The Cottage Barn and Cooper's Landing Inn and Travler's Tavern will be onsite offering an array of food and non-alcoholic beverages. We will have alcoholic beverages available for purchase as well. We hope you will come and have a good time with us, shop our downtown stores before hand, and then head out to one of our many restaurants after to grab a snack or dinner!! Bags and Chairs checked at the gate. IDs must be presented at the gate.